Food for birds. 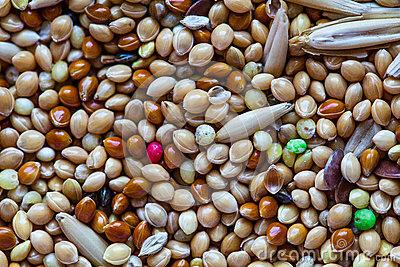 Close up Seeds of cereals. Canary seed. Food for parrots for every day. Abstract background.